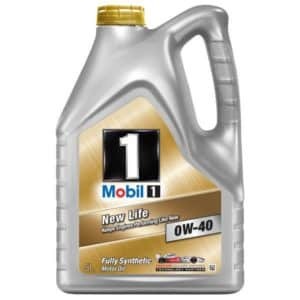 Did your engine oil have a strong smell of gas when you replaced your engine oil? This is actually a pretty common problem when it comes to gas engines. But how serious is this problem and how do I fix this issue and prevent it from happening again? In this article, we will go through the causes of why your engine oil smells like gas and how you can avoid it in the future. Your engine contains cylinders and pistons. The pistons contain piston rings which will seal the combustion chamber from the crankcase. If the fuel mixture inside the cylinder chamber won’t ignite correctly or the piston rings are worn, the fuel can flow down into the oil pan. However, even after all that sealing, some small amount of fuel getting into the engine oil is actually very normal and nothing to be worried for. That happens as you drive your car routinely as the engine is constantly receiving fuel and the oil is constantly being circulated during the combustions. This problem arises when either, if your car’s fuel injectors get stuck in the open position, spilling gasoline or if your carburetor is letting interrupted supply of fuel even when the gas pedal is not being depressed. The main cause of why your gas is getting into the engine oil is that your fuel mixture is too rich. If your fuel mixture is too rich, the combustion chamber won’t ignite all of the fuel and this will cause the fuel to run through the piston rings down into the oil pan. There could be several sensors or other problems causing the fuel mixture to get too rich. Read the trouble codes with an OBD2 scanner to see if there are any stored trouble codes which could indicate where you should start your troubleshooting. Normal causes of rich fuel mixture are the Mass air flow sensor, Coolant temperature sensor, O2 sensor, MAP sensor, and the intake air temperature sensor. Go through the links to our post about the specific sensors to learn more about them. Gas is always running down into your oil pan on almost all car engines, more or less. When your oil temperature gets high, the gas will vapor out from the engine oil. If you do only drive for short distances, the engine oil will not reach enough temperature to vaporize the gasoline and you will fill up your oil pan with gas for a while. If this happens you should replace your engine oil and filter. If you know that you do often only drive for shorter distances, it’s recommended to change the engine oil with shorter intervals than normally. If your piston rings are bad, more fuel will run through the combustion chamber into the oil pan. However this is not a very common problem and it’s very difficult to repair as you have to take the whole engine apart, so I do recommend to check the other things in this list before. A way to check the piston rings is to do a compression test or a leak down test. A Misfire is happening when the air-fuel mixture is not getting ignited correctly and the combustion cycle will be disturbed. Because the air-fuel mixture is not getting ignited, the gas can wash your cylinder walls which will cause the compression to be lowered and more blow-by through the piston rings will happen. This can cause the gas to pour down through the piston rings and fill your oil pan with fuel. Fuel injected vehicles have small injection devices which provide the engine with the fuel it needs. These injectors are operated by a solenoid, further controlled precisely by a computer which lets just the right amount of fuel inside the cylinders. Since solenoids are mechanical, they can often malfunction and if the solenoid gets stuck in the open position, gasoline will find its way inside because the substance is watery, and mix with the oil. The gasoline, in the excessive amount which flows out, will eventually seep down in the oil pan and mix with the oil as your car is running. Cars with carburettors are different. The fuel mechanism is handled by a diaphragm and controlled by the gas pedal mainly. Since that is too, mechanical, the butterfly valve that controls the air flow can get stuck which will let the fuel in according to the mixture ratio. That will also let the gas get into the oil and cause this problem. At that point, similar to fuel injected cars, the excessive gasoline will go down into the oil pan and mix with the oil. What does it mean when we say that gas is mixing with the engine oil? Have you ever realized that when you are getting your car’s engine oil changed, you get a strong smell of gasoline as the old oil pours out? Do you often wonder why that happens? Since gas and oil are the two active ingredients that are fed to your car’s system, it is possible that the gas may be getting into the oil which is why you are getting the smell of gasoline as you change your car’s engine oil or just take out your dipstick to check the oil level. While it is normal for a small amount of gas getting into the oil, too much of oil dilution with the gasoline can become a major problem. If the smell is so strong that it feels like the gasoline is flushing instead of oil when getting the oil changed? If you are unsure whether the mixture of gas and oil isn’t normal, here are a few symptoms and signs you can look for that can tell you whether there’s some problem with the car or not. If you encounter any of these symptoms, it may be that there’s an excessive amount of gas getting into the oil in your engine which isn’t normal. A rather easy way to tell if your car is using too much fuel is that your car will emit thick white smoke. That is due to the fact that fuel that is not burnt properly during the combustion cycle will tend to ignite later when on its way out the cylinder. Also, since oil is viscous and gasoline is not if you realize that your engine’s oil is too thin than it should be, even after a long time of use, there’s a high chance that it’s the gasoline that is changing the viscous properties of the oil. Too much gas getting into the oil in your engine is never a good sign and so the first thing you should do is immediately get your car to be checked by the mechanic for the symptoms above if you do not have the knowledge yourself. If everything looks okay it might be your piston rings that are worn out. The job of these seals is to keep the oil from the oil pan from getting inside the cylinder and keeping the gasoline from dripping into the oil pan. These seals are worn out over time and need to be replaced. The best sign to look for, which should tell you about the piston rings is to check the smoke your car is emitting. If the smoke is thick and black, it means that your car is burning oil. If the smoke is thick white, that means your car is running rich and burning too much gasoline. After getting your piston rings checked and replaced, change your engine oil to prevent engine damage. 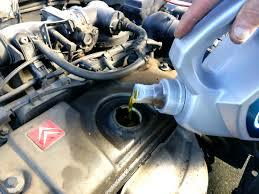 If you do only drive for short distances, it’s common that you will get a lot of gas into your engine oil and in this, you have to replace the engine oil immediately and do engine oil changes more frequently than normal if you will continue to drive for only short distances. Read the trouble code memory for any signs of broken sensors or other things that will cause the engine to run rich. If you have any other questions you are welcome to apply a comment down below and I will answer your questions as soon as possible. What is considered small distances? I am having this issue . I drive about 5 miles stop for 15 minutes and then drive back..twice daily.. Yes, that’s absolutely short distances. The oil is getting heated much slower than the coolant and to reach full oil temperature it can take more than 15 minutes of driving to heat it to the optimal temperature to vaporize the gas correctly. What would be the suggested repair? I have a 2017 CRV with 1.9 TC engine. There was a piece in Consumer Reports about a problem with this engine getting ga in the oil. I’ve checked the oil and the level seems a high. Trying to figure out what repairs I should insist on beyond root cause. Gas getting into the oil is not an easy problem to solve. It’s most often caused by bad piston rings. If the dealer does not have a technical service bulletin for this problem yet, I would recommend replacing the engine oil often and make sure to not only drive for short distances. I have a same issue with my car, even fuel consumption is too high as comparing with normal car. i have 1jz-gte non vvti, and while driving i smell strong odor of fuel moreover when i stop the engine at idle position the white smoke came out from tailpipe. compression test has been done and it result fine to me on all cylinders. please suggest me on it. Do you have OBD2 in your car? If so, read the trouble code memory with an OBD2 scanner and check for any misfires or fuel adjustment problems like a bad sensor. A car that is running rich will cause a lot of gas in the oil pretty fast. Hi, no OBD2 available. actually running with stock ecu and 1jz has been swapped in my mark 2. My 16 year old son has a 1977 Ford f150. Gas is getting into the oil. One person said it was probably the fuel pump and someone else said it was probably the carburetor. It even shot fire out from somewhere under the hood this afternoon and my son had to put it out. Would your information be different since we are talking about a old vehicle. It has a 400 big block. Help please. This truck has been a hand full. It sounds like your car is getting too much fuel and it could absolutely be caused by a bad/bad adjusted carburetor for your car. If the engine is backfiring through the carburetor there might also be a faulty adjusted timing or leaky intake valve. I have a 2019 BMWK1600 motorcycle. It has an inline 6 cylinder motor and I have discovered a thick white emulsion at the dipstick in only 2000 miles from new. In that time period I have taken long rides, day trips and commute to work on it about 5 miles each way on a combination of surface streets and freeway. The dealer has looked at it and is saying that it is condensation due to the short trips. I had them change the oil and and have since been riding at higher than normal rpm for 20 miles at a time minimum. It has come back in under 100 miles, I will be sending the oil out for testing soon. What is your opinion of the issue I am having? What should I be concerned about? Engine longevity, failure etc.